Image of autumn Time Change. Fall back concept. 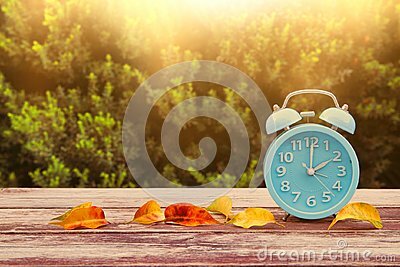 Dry leaves and vintage alarm Clock on wooden table outdoors at afternoon.